Brides and grooms wants their wedding to be absolutely perfect and they're willing to spend a lot of time, effort and money to make their wedding dreams come true. While planning a wedding is a commitment and can often times be stressful, it's important to remember the reason why you're doing all this - to celebrate your everlasting love with your partner as your friends as family join you on this joyous occasion. 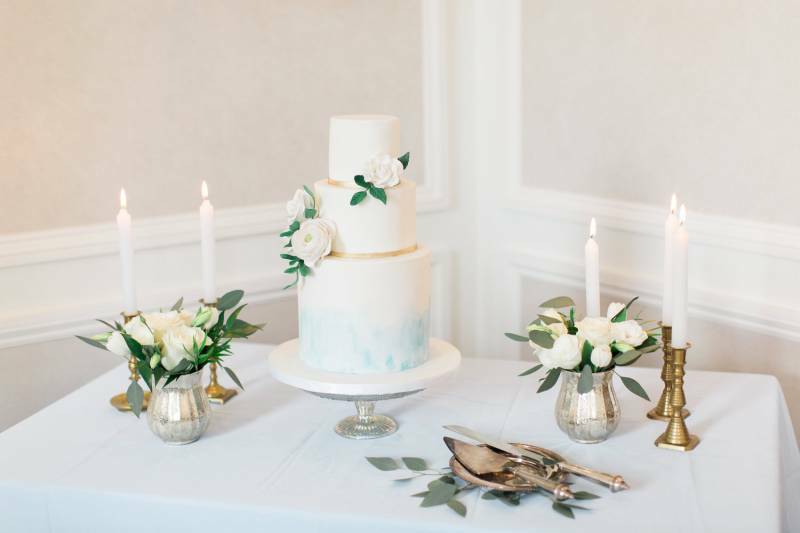 To help ease your stress, Hannah Forrest, an associate wedding coordinator with Elegant Productions, is here to share her top 10 tips for a stress free wedding day. 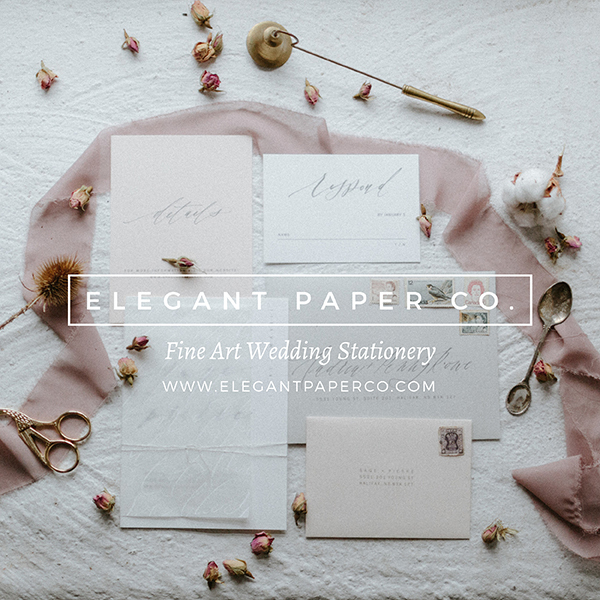 To absolutely guarantee a stress free planning process and a flawlessly executed wedding day, hire a planner to ensure everything is exactly the way you want it to be. You want your dream wedding to become a reality and a wedding planner can make those wedding dreams come true! 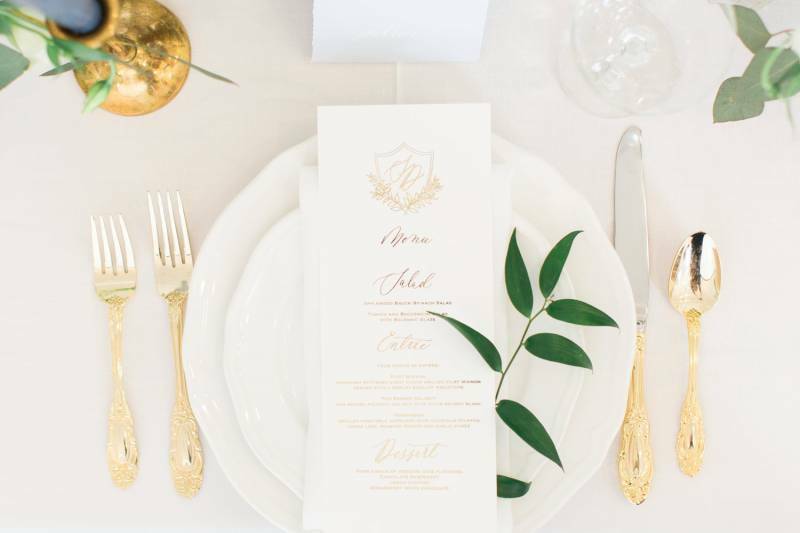 You won't have to stress about finding the right vendors, sourcing decor items, or even making sure everything is on time and accounted for when it really counts (especially so, if you hire an Elegant Productions planner). Before the planning process begins, a budget should always be agreed upon. Every couple is different therefore every budget is different but they are all so very important to stay within. Going over your magic number can happen very easily, especially towards the weeks leading up to the big day. Keep in mind what your financial situation will look like post-wedding. You don't have to be stressing about how you're going to afford to pay all of your vendors on the day of your wedding. A financially stress-free wedding day will create the beginning of a happy married life. Having your ceremony, cocktail reception, dinner and dance all in one location can make for a lot less stressful day! 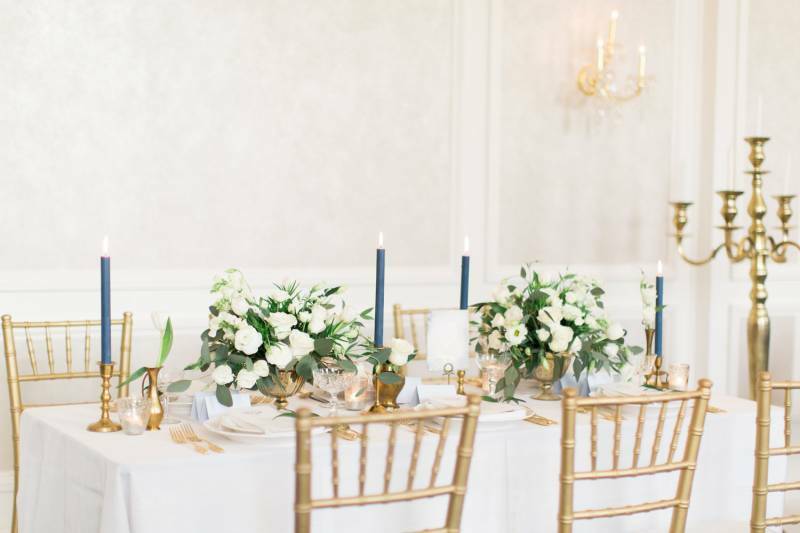 You won't have to worry about if your guests will make the dinner, or if they'll know where to go from one location to another, and most importantly, you can enjoy your day with no travel worries for your bridal party or guests. Choose a venue you absolutely love and that is the right size to fit all your guests plus every aspect of the timeline during your big day. Even if you have to place a beautiful tent outside your ceremony venue, this can create the perfect feel for your perfect day. The last thing you'll want to be worrying about on your wedding day is trying to find your checkbook to pay the final bill for your DJ or photographer. During the weeks leading up to the day of your wedding, go through all outstanding wedding vendor bills and ensure everything that is due the day of is paid off. The expenses for a wedding can be costly and stressful on its own, there is no need to have that stress during the day you worked so hard to make happen. Eat healthy meals, exercise daily, and drink lots of water. Taking care of your physical and mental health during the months leading up to your wedding day will help your mental state of mind. You want to be healthy, happy and full of energy on this special day and there's no better way to ensure that but to live a well balanced lifestyle. Take up a yoga class, read your favourite book, or start going on walks with your friends. There are so many activities you can do to get your heart rate up and put a smile on your face. Plan to have a long, good night sleep the day before your wedding. Stay in, rest up and relax, and you will not regret this in the morning. When the morning arrives, make sure you give yourself enough time so that you aren't rushed. Eat a delicious breakfast and surround yourself with the ones that make you happy and calm. If that great Aunt who likes to cause all the drama in the family wants to visit, have it for a quick second or have someone suggest to see you after the ceremony. Budget enough time for hair, makeup, pictures and laughs with your bridal party. This is such an important day for you and you want to make sure you start it off perfectly. When you're in the moment of all the blissful wedding day activities, you can forget to stay hydrated or even have something to eat. Take the time to drink lots of water throughout the day. You're in it for the long haul - a good 12-18 hours of celebration - the last thing you're going to want is a headache or a decrease in energy that occurs from dehydration. Be sure to hydrate and have something to eat before you get to your dinner reception. If you're having an outdoor wedding, the most crucial thing you can do is plan for rain. The weather is something that is totally out of everyone's hands and you don't want to be worrying about your guests getting soaked and your dress getting ruined because the clouds decide to rain on your parade. Have a backup location picked out or a tent on hold, and even if you have to decide the morning of, this will keep your stress levels down to know you do have a backup plan in place! You can plan this day out to the fullest, but still, some things just happen. The best thing to do is simply just roll with it! If your band starts playing the wrong first song, don't stress out, look at your sweetheart, laugh it off and start dancing. It's important to keep in mind what this day is really about - the love between you and that special person you want to spend the rest of your life with. So, if something doesn't go exactly as you planned, just stay calm and relaxed and so will all of your guests. Plus, surprises always make for great memories! 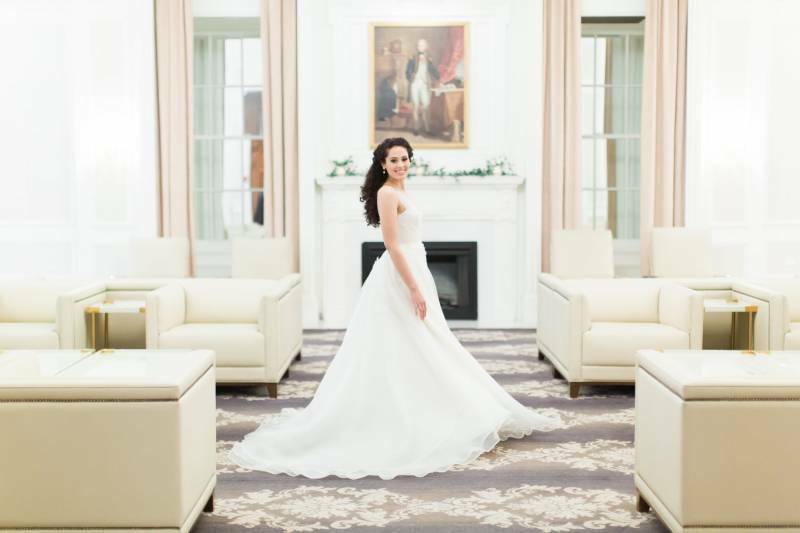 As a special treat, here are a few photos from a recent styled shoot produced by Elegant Productions. To see more, head on over to Elegant Production's blog post here. 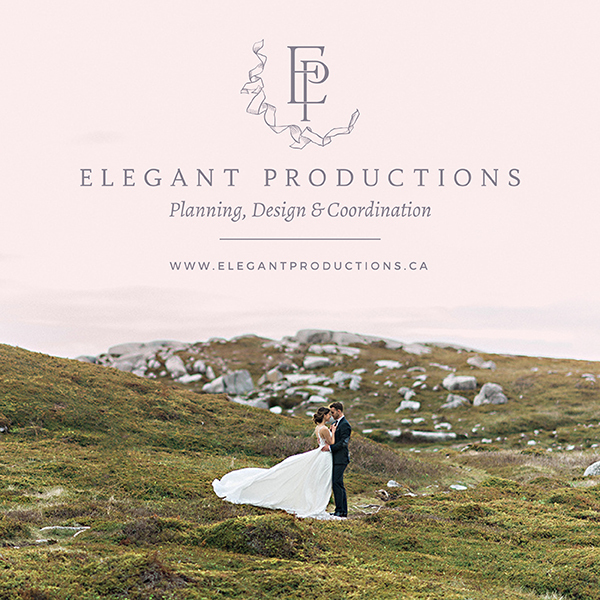 Elegant Productions is a member of the Styled in Lace Vendor Guide. As a paying member, Vendor Guide members have the opportunity to write content for inclusion on the Styled in Lace blog. This post originally appeared on Elegant Productions website. You can view the original post here.